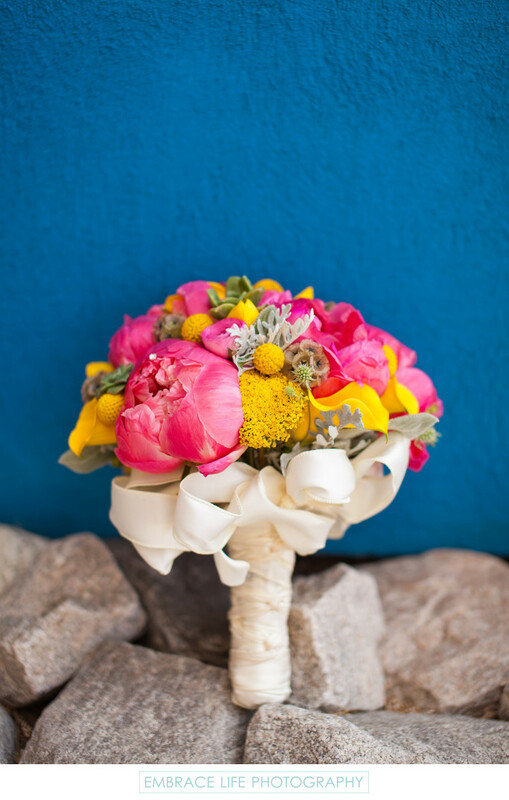 This Long Beach wedding at Museum of Latin American Art was bursting with color as seen in this detail photograph of the bride's bouquet featuring bright pink peonies, yellow calla lilies, yellow craspedia (billy balls) and a variety of other greenery resting against a blue wall and grey rocks. This MOLAA wedding was featured by both WedBits and Bridal Guide. Location: 628 Alamitos Avenue, Long Beach, California 90802.